How I was Introduced to Kdramas and when? In Nov 2015 my sister showed me 100 days with Mr. Arrogant on YouTube since then we started watching ‘South Korean movies with English subtitles’ on YouTube. I searched for 100 days with Mr. Arrogant movie actor Kim Jae Won’s wiki page and started watching my first ever kdrama Can you hear my heart on 10 Feb 2016. Since then there is no going back. 100 days with Mr. Arrogant, Millionaire’s first love, My tutor friend, Baby and me, Seducing Mr. Perfect, My Little Bride, My Sassy girl, He was cool, 200 pounds beauty, My girl and I, Jenny and Juno, Too beautiful to lie, My bf is type B and so many more I don’t even remember the names. Recent movies– Train to busan, Seondal: The Man Who Sells the River, Canola, Bigbang made, The Tunnel, One way trip, My way, Confidential Assignment. Popular drama that I didn’t like and maybe the first drama that I dropped is You who came from the star. I think bad video quality was main reason back then but I don’t really want to continue it now. First drama I hated the most is Please comeback mister. I started it because of dramafever but I didn’t liked it all. After that I got little bored of dramas and also life happened so again after one and half month I resumed watching dramas Just 2 or 3 in second half of july 2016. In oct 2016, I finally decided to check out kissasian after reading about it everywhere but this was my first time using it. It takes too much time to download episodes so I decided to download movies only. Downloaded all popular Asian movies (mostly Japanese and Train to busan). Exo next door and love in Tokyo 2 were among my first downloads on kissasian. On 7or 8 oct 2016 I discovered this app kdrama amino while searching for kdrama related app on playstore. Downloading all OSTs I remembered right from my first kdrama. I wanted to get into kpop too so I downloaded kpop amino and listened to some popular songs but I didn’t really get into it. I am also in love with kdrama memes. I saved 500+ memes in my dropbox folder. After sep- oct I decided I will never watch dramas after midnight. I really hate getting dark circles. I have just once or twice broken this resolution till now. Nov-Dec 2016 so many awesome dramas, I was eagerly waiting for LOTBS but one that got me hooked was WFKBJ. Now, I am only using kissaisn through tubemate to download episodes of my on air dramas and other dramas too. Dramas gets even better if you watch it in good quality and on bigger screen (laptop). Free+ Subscriptions on Dramafever, NetFlix, Viki. 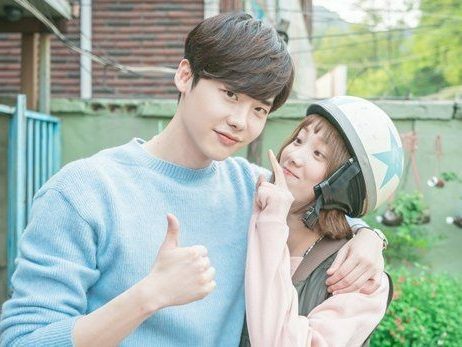 I only give suggestions to newbies and if by chance I get to know other kdrama fans on YouTube, twitter or Instagram. I don’t ask people to watch kdramas nor I brag about how great kdramas are maybe I just cannot find the right people. Also I don’t want to get blamed for introducing them to this obsession and addiction. So I don’t really suggest unless that person watches drama of his or her home country and loves exploring other countries movies and dramas too. But there aren’t any such people offline. I don’t know a kdrama fan in real life other than my younger sister. I personally think all those who are already watching kdramas should know about this ‘kdrama amino app’. This is a website which allows you to keep track of Asian dramas you are watching and lot more. The feature that made me super interested in this site is the list function. I saw someone’s list mention in KDA (kdrama amino app) and in Jan 2017 I made an account on this site. Now this is the site where I login daily. I earlier used to write the date and names of dramas that I have watched/dropped but thanks to MDL (Mydramalist.com) I now see it more clearer manner on my watch list. Search function is much more helpful to get recommendations by year, genre, country, etc. Do watch Exciting India (Travel Variety Show Kpop) on Kbs world YouTube channel. Also zindagi channel aired kdrama Descendants of the Sun. I watched this variety show of 4 episodes right after watching my first ever kdrama. This is how i got interested in kpop but sadly I don’t have a bias nor I listen to it daily. I haven’t watched any other variety shows either. List of names of the kdrama & Date it started airing on. Hello spring, The one and only, Summer love, Prince’s Prince, Never die, Midnight’s girl, Page turner, Click your heart, Surplus Princess, Thumping spike, Love cells 2, Delicious love, Choco bank, High end crush, Noble my love, Bong soon a cyborg in love, We broke up, Exo next door, Ma boy, Gogh starry night, Thumping spike 2, Splash splash love, Seven first kisses, To be continued, Her lovely heels, Ruby Ruby Love, The Universe’s Star.